Being fit has always been a part of my life. 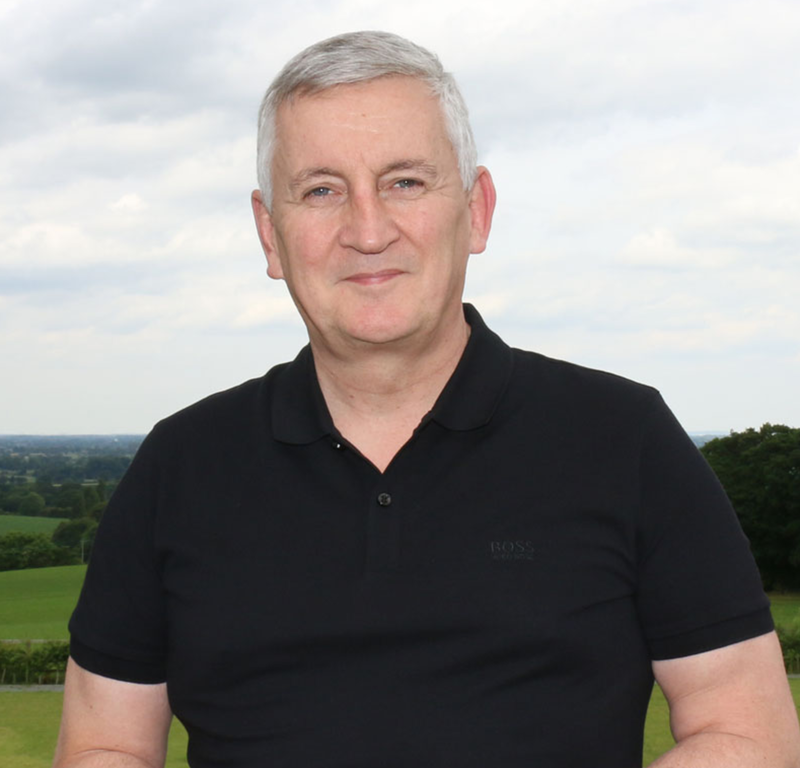 From my early days swimming and playing rugby, to being a member of the British Forces, to running my own business I have always ensured keeping fit and healthy is part of my daily routine. Cognitive reasoning – we are paid to think and do. When you are fitter your blood pressure is lower which means your brain is switched on – simple really! A great deal of time as a leader is working with teams to solve problems, make decisions, taking action. Being fitter ensures creativity and confidence are also increased. Energy – Regular exercise gives you more energy throughout the day so you can be more productive and get more done. You also transmit more positive energy which enhances leadership and influence. Resilience – the fitter and healthier you are the more “bounce back ability” you have. We live in times of constant change and need to be resilient to thrive. Reduced stress – exercising releases built up emotions and stress. How many times have you been exhausted, exercised and felt fantastic after wards. That is all of those endorphins doing their magic! So how do you keep fit and healthy in our busy world? The good news is that once you know how, it is really easy. The key first step is making a commitment to yourself to change your behaviours … not should but will! 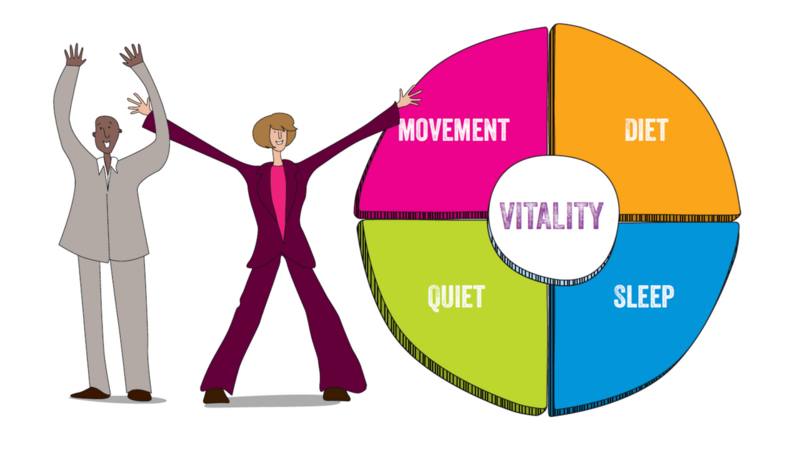 I have created a simple model and approach I teach leaders to ensure their efforts are balanced and all areas for increasing vitality are covered. It is easy to miss a few areas when we are busy, we need all four areas to be focussed on to maximise our vitality. Movement: Exercise every day. I like to do compound exercises using Tabata or HIIT workouts 3 times a week and a couple of runs/swim/walk – a long one in the countryside on a Sunday. I love to get outside as much as possible because the benefits are so much greater than in an indoor gym. I like to use mundane things like cleaning the car, house chores or gardening as workouts. Do little things like use the stairs more often, and cycle instead of using the car. If you do use the car, park it as far from the door as possible! Find exercise that you enjoy. Diet: My body prefers a high protein, high fat, and low carb diet. Find out what works for you. There is a great deal of nonsense talked about regarding diets and food. I like to cut out as much processed and sugary food as possible (the odd cake and chocolate bar does find its way in!) and enjoy great natural foods and a balanced diet. Food is to be enjoyed and a time to refuel your body. And drink plenty of water! Quiet: Spending time reflecting being mindful, meditating is really important. Find time to do it! I love the great outdoors and being by the sea or in the mountains to just be in the moment. No gadgets allowed! Sleep: So important to get right. Rest is when your body rebuilds itself and bounces back stronger. So many people over train or over do work. See rest and an important part of keeping fit and healthy.